My second postcard from the beautiful region of Algarve, Portugal! This one is from Ferro for Vacation RR in postcrossing forum. 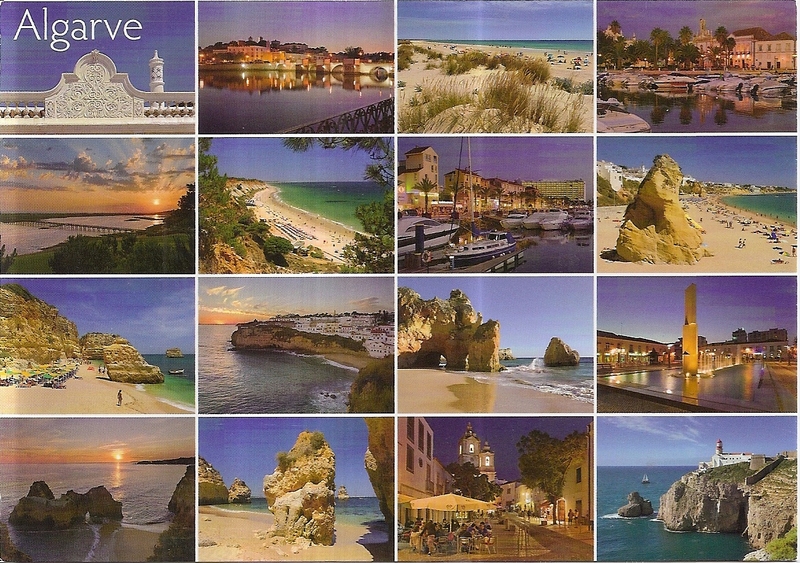 The postcard shows multiview pictures of Algarve. 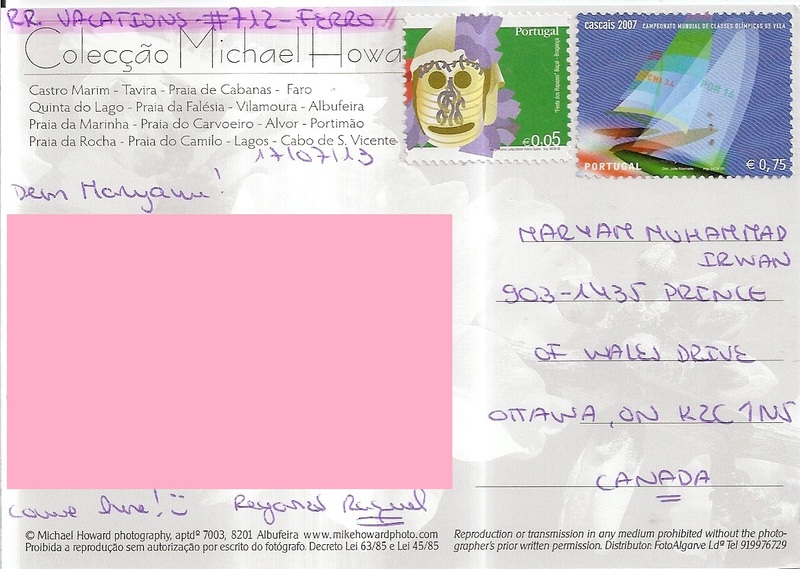 At the back, Ferro affixed two stamps. No postmark applied. Thanks a lot Ferro!